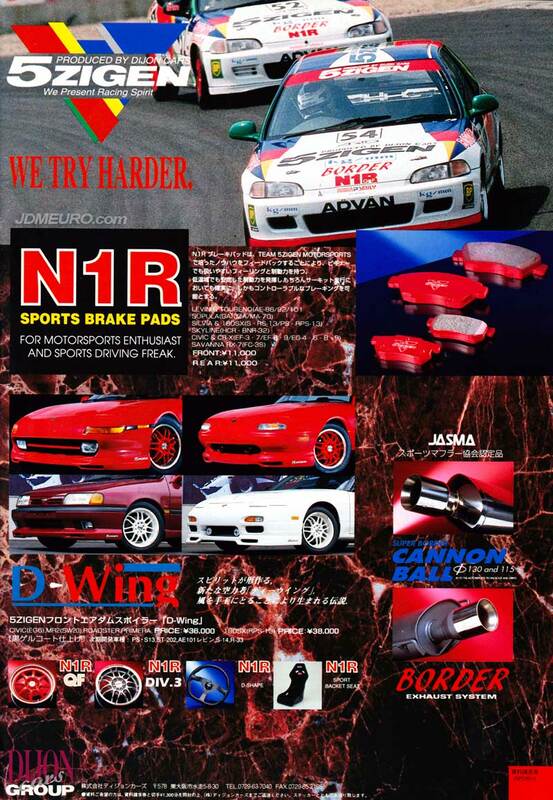 The 5Zigen N1R DIV.3 were one of the prominent JDM Wheels of the 90’s. 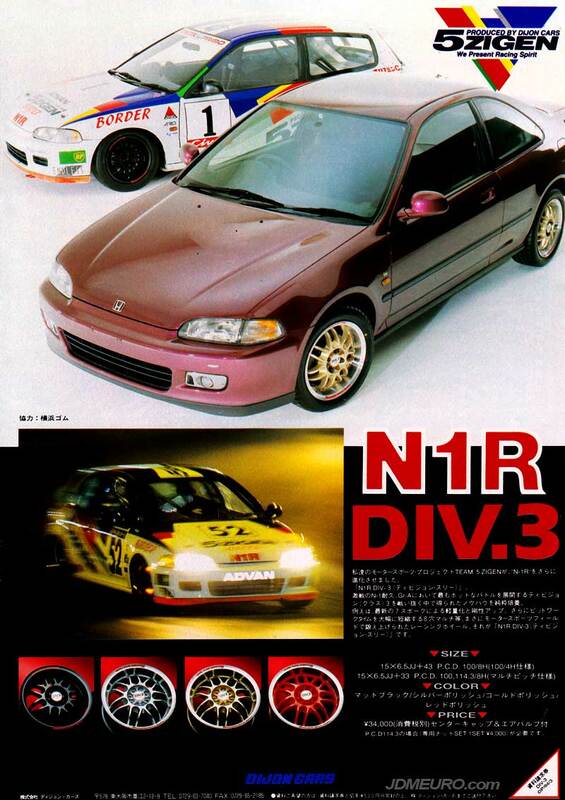 More commonly called the 5Zigen DIV3, the 5Zigen N1R DIV.3 were mid range JDM wheels in terms in pricing due to its one piece cast construction. Most commonly, you would see the 5Zigen DIV3 mounted to Honda Civic and Acura Integra, but as pictured fitments were available for Toyota MR2 Sw20, Mazda Miata NA, Nissan 240sx s13, and Nissan Primera. Also pictured are the 5Zigen N1R QF. The 5Zigen DIV.3 N1R (aka 5Zigen DIV3) are lightweight JDM Wheels that were very popular with the Honda Crowd in the 90’s. The 5Zigen DIV.3 N1R is a lightweight cast wheel with a 7 split spoke mesh design which. The cast one piece construction allowed lower prices for a real JDM wheel to be affordable. Pictured in the advertisement are the 5Zigen DIV.3 mounted to a EG Civic Coupe in the foreground and an EG Civic Hatchback behind.